Hold’n you in my Holden (Trax), at least until you drive it. GM, Holden’s owner, bought Daewoo to manufacture their cars cheaper and this is one of the plants manufacturing Trax. 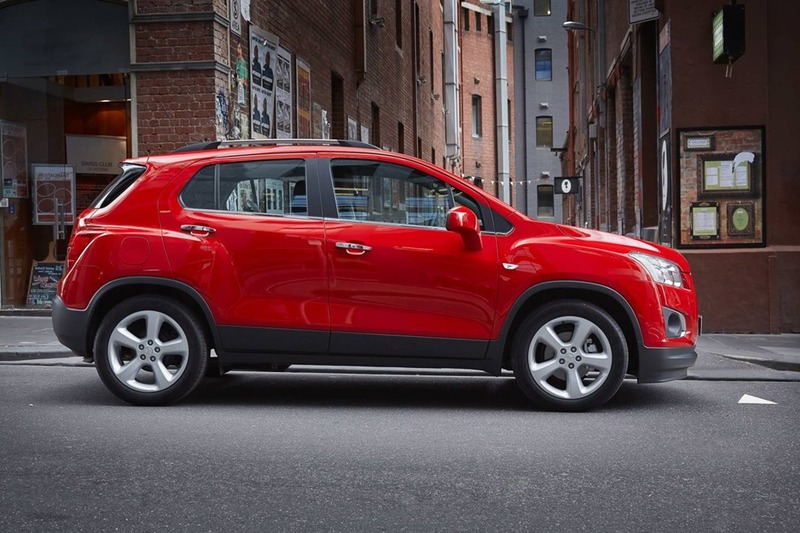 GM is trying to flog Trax in many countries under a few different names, Here in Australia we have been slow to take small SUVs despite over 30% of all vehicles sold being SUVs. It seems Australians aren’t hold’n anyone in their Holden as sales slip further and further. And if they keep flogging us stuff like this no one will be surprised. Trax is a bit cheeky, even cute in a funny kind of way. The 5 door design is pert and upright giving easy access to the cabin. The front end is chunky in a Tonka toy kind of way and is one you either like or don’t. The rear is high, very high and the overall affect almost muscular. For me, it is mostly OK, but for the front to be a success it either needs to be chunkier, or sleeker. At the moment it is just a bit too like a slab of meat. The LTZ has 18” wheels which look very smart. Overall, OK but nothing exciting. “Neat” is my word dujour. 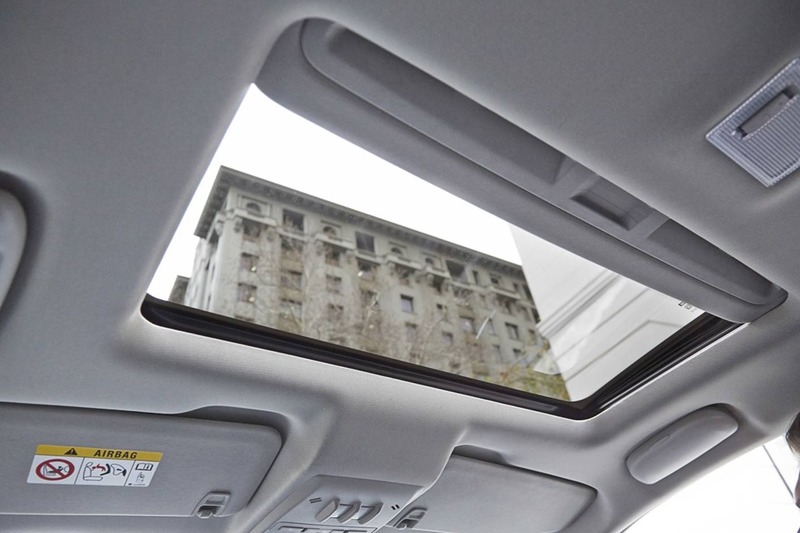 Most of the surfaces and materials feel a bit cheap but this is an entry level car isn’t it? Yes, but not with an entry level price. The range is priced from $23,990 for the LS (special offer, drive away in NSW) to $32,479 for the LTZ. The problem is that at 32 grand an astute buyer will have many choices which are preferable in every way. And all of those choices will have better quality. It’s an entry level car but the price? Not so much. Subaru’s laudable Forrester, Kia’s excellent Sportage or Mazda’s fabulous CX3 or CX5, Honda’s HRV and CRV, the Hyundai IX30, Jeep’s Compass, Peugeot’s 2008 and 4008, Nissan’s QUASHQAI, the Skoda YETI and Renault’s Captur to name but a few. Who in their right mind would buy a Trax over any of these? All are bigger and everything you see and touch feels better quality. 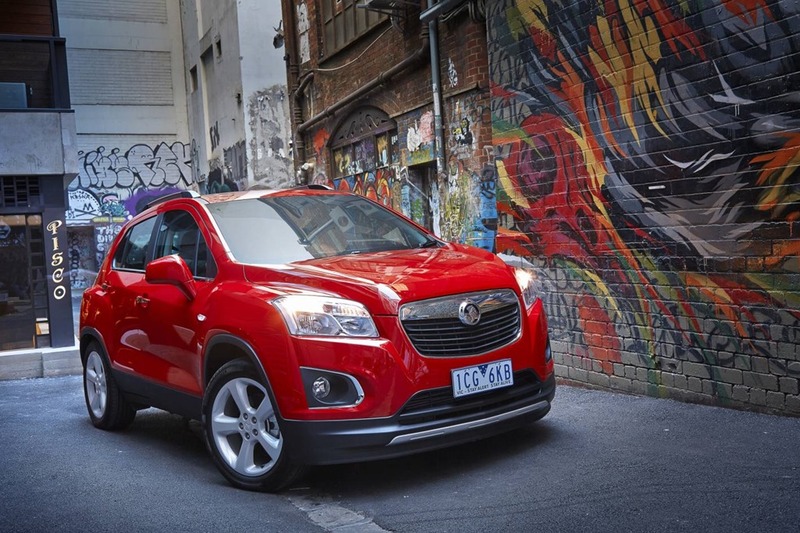 You could even buy Holden’s own Captiva coming from the same factory but it also suffers from the Trax’s feeling of cheapness. It’s as if these cars were built by accountants. The buyer will compare all the brands at a price point which why I suspect that despite this segment increasing in sales by 30.6% this year, Trax has decreased by 15.3%. In fact Holden sales are down by 9.6% over all. Except for Colorardo 7 which is up by 62.9%, all other Holden models are down. Not surprisingly the awful Malibu is down over 40% and wonderful Volt is a huge 62% down and is being discontinued when the new model is released in the USA. The Malibu is just a mess of a car and its weak sales have gone further south just like the Epica it replaced. How many Malibus do you ever see on the road? The Volt suffered from an outrageous price of $65,000 and that’s a shame because Volt is a great car that could have worked wonders. That must be worrying GM no end. 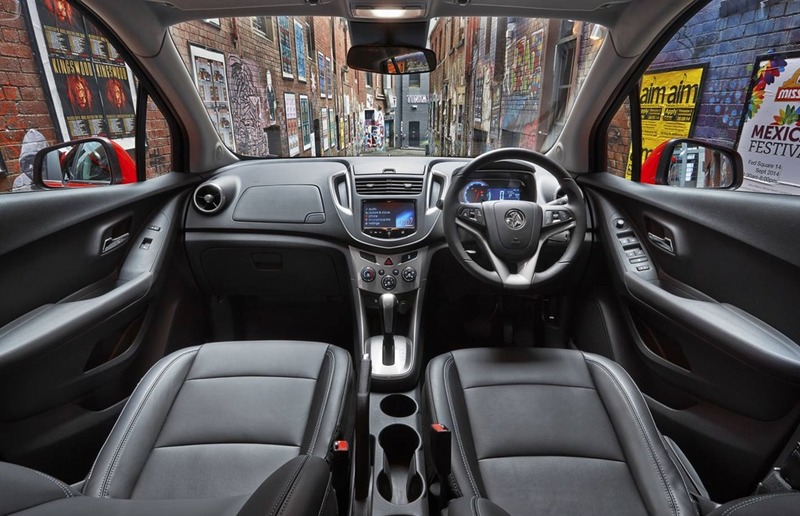 Although the interior is well laid out and reasonably well equipped, buyers are preferring other brands. The top model has partial leather seats with heating. The My Link infotainment system is brilliant. It’s easy to use and very intuitive. You can pair your phone by voice prompts in a few seconds. The sound is acceptable and the LCD has a reverse camera across both models. But none of it is worth the money. This is a sub 20k car at best. The interior does not come up to snuff when compared to the opposition. The 20-30 grand range is hotly contested and many are worthy and indeed a pleasure to behold. This is where my confusion intensified. There are 2 engines and both are 4 cylinders of 103 kw. The 103kw/200nw 1.4 L turbo is available on both LS and LTZ and only with the 6 speed auto. The 103kw/175Nm 1.8L petrol is only available on the LS but can be had with a 5 speed manual if desired. But why would you want a 5 speed when most manuals are now 6 speed, and why would you choose the 1.8 if it has the same power and less torque than the 1.4turbo? Holden’s website is a bit confusing on this point. The specs show only a 1.8L on both models unless you look carefully at the specs for the LTZ where it shows a 1.4L turbo as an option in very tiny writing. The 1.4L engine is by far the better engine but both feel “buzzy”. Neither feel cutting edge like Ford’s amazing Eco Sport. So see if you can figure it out. Both take 91ron unleaded so less dosh spent on fuel which is the only saving grace. The handling is acceptable for a 14 grand car but not crazy great on something costing from 23k. Anyone who likes a good drive will find Trax disappointing. There is a bit of torque steer so when you put your foot down at lights, the steering wheel pulls a little. You can live with it because most front wheel drives have the same problem. The brakes deserve a special mention. They feel quite soggy and you’ve got to really give them a shove in order to get any kind of affect from them. The steering feels fairly vague too and both are way behind others in this price range. It makes less and less sense. 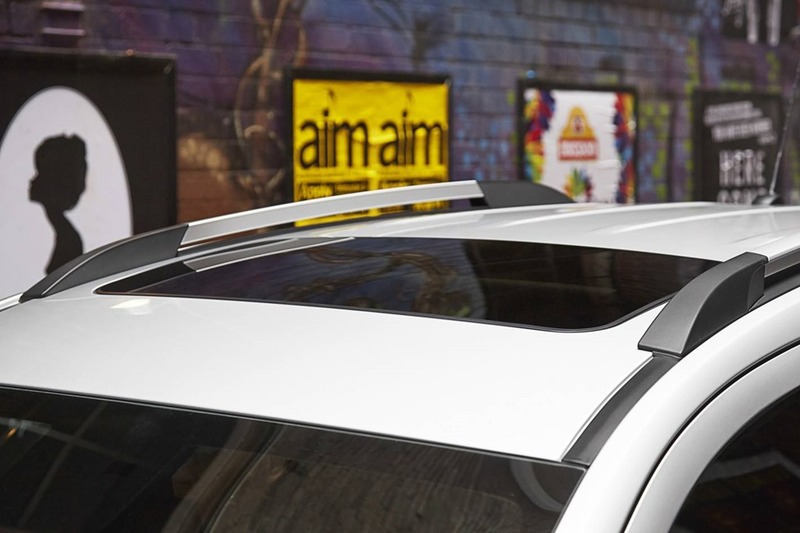 Drive a Ford Eco Sport and you’ll feel like you’re in a little brilliant handling hot hatch. It isn’t that it is super quick but it is a delight in every way. You can throw it into corners in exactly the same way the Trax can’t be. The drive was barely adequate for a 1999 hatch, and at $23, 990 but much better options are available. I don’t know what’s going on in Detroit but it is not doing Australia’s Holden any favours. Whilst Commodore and Volt are brilliant and dare I say innovative, the rest of the range is not. Hopes hold that Astra and Cascada might see an improvement in sales figures. They are from GM’s Opel division in Germany and are light years ahead of Malibu, Cruze and Trax. Perhaps it is for that reason Holden are only importing the top spec models. I reviewed the Astras when Opel did its one year stint in Australia, and they were fabulous. The Opels always should have been sold here as Holdens like the old Astras were. Maybe it wouldn’t have been such a disaster. Holden and Ford combined sell fewer cars than Toyota and if Holden doesn’t do something soon they will be in deep strife. Once Commodore is gone in a few years’ time their range will be just plain sad. GM is bringing in a few US models but since Malibu was such a disappointment I don’t hold out much hope. To put it in perspective, Holden has sold 27,419 vehicles this year. Ford is even worse off with only 20,128 sales. Toyota, the brand people seem to buy by default, has sold 48,986. The Australian market is a tough one and our buyers have much perspicacity and are not fooled by gimmicks. They want value and quality. They don’t want cheap and nasty and that’s why the Chinese brands have failed miserably. 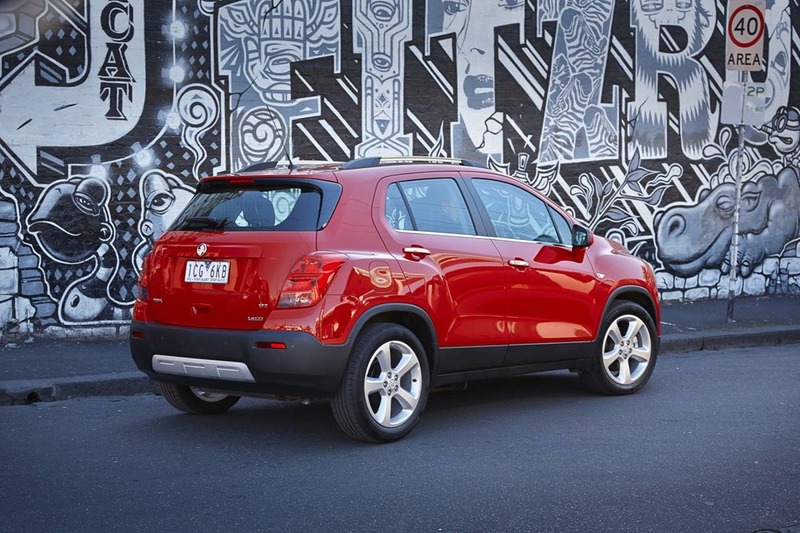 Trax may have done better were it $10,000 cheaper but it can’t compete in the $20,000 – $30,000 range, it just can’t. Would I buy one? Not on your Nellie. I’d buy any of the models list above. All of them are better drives, look better, are better quality and are better value. This is one of the biggest disappointments in years.